For make-up applications we use many tools to apply foundation, concealers and powders onto our face. 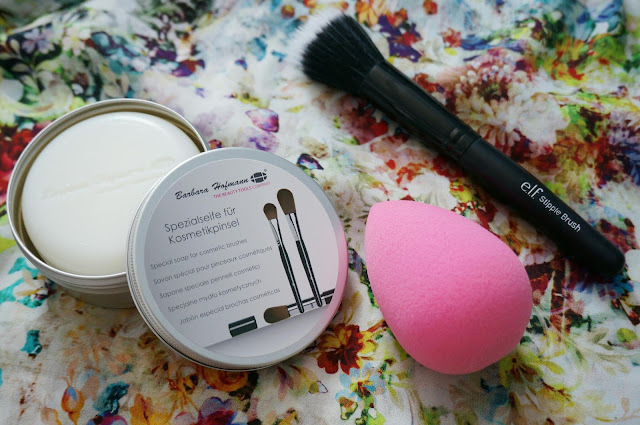 One of my favourite application methods is using a stippling brush or a beauty blender, they are incredible for creating a flawless base, but can be difficult to fully cleanse especially with a beauty blender, as they soak up a great deal of product into the sponge. With the beauty blender you can purchase the solid beauty blender cleanser as a package for £26, which I had until my mum lost the soap. Or the individual solid beauty blender cleanser which comes with a hefty price tag of £14 for 28 grams of product. It is an amazing product, that gets rid of all the dirt from your make up sponge/brushes BUT I have discovered an fantastic alternative. Throw away all your baby shampoos or other soaps you use out the window now!. 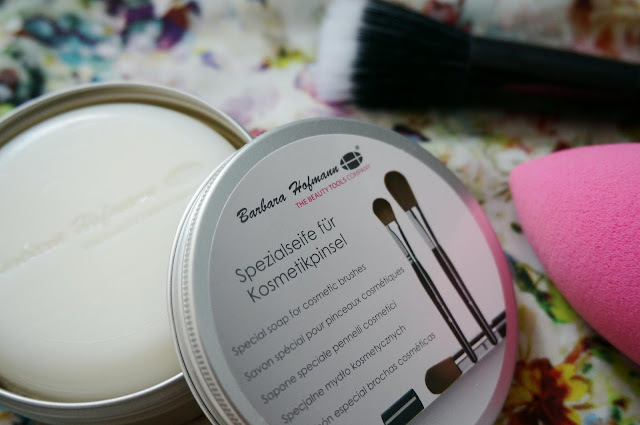 The BARBARA HOFMANN SPECIAL BRUSH CLEANSING SOAP is a must-have items for all make-up brush users, with an affordable price of £6.95 for 100 grams of product. Does exactly the same job as the solid beauty blender cleanser by deep cleansing dirt out of your makeup applicators in minimal time, contains a lovely zesty lemon scent, comes in a TIN which is great for storage and last but most important, I haven't broke out. I have incredibly sensitive skin and break out easily, so this is superb stuff. Not going to lie, I've already bought a back up, so they are going to last me a while. If you are looking for a good make-up brush cleanser, check this out from BeautyCrowd. This sounds great! I was looking for something like this, now I've found it! :) thanks for sharing! I have the brush soap that Enkore made and its amazing but its running out so ill have to give this one a go! Oo that looks so good! Must try it! I have never used the beauty blender soap due to its price tag but I am definitely going to be checking this out!! I think I'm going to be needing this in my life!